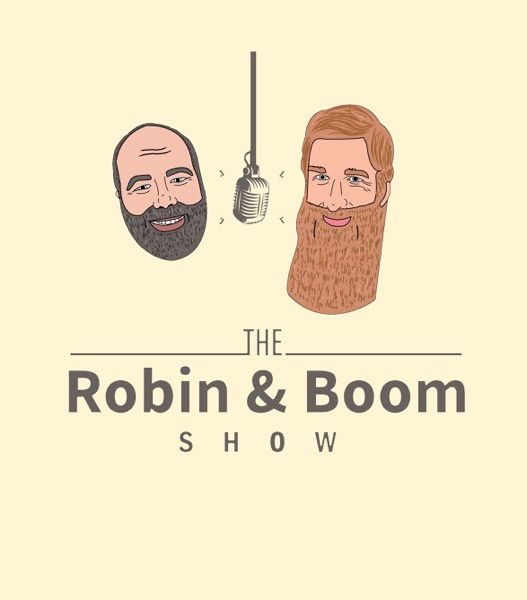 The Robin & Boom Show | Listen Free on Castbox. The Robin &amp;amp;amp;amp; Boom Show is your source for engaging the contemporary world with the Great Tradition. No topic is off-limits as Robin Phillips and Jason Van Boom explore the most pertinent issues of our time, knocking down secularist idolatry and showing what it means to have a classical Christian worldview where the rubber meets the road. Topics include technology, politics, education, aesthetics, literature, history, theology, health, science, metaphysics, current events and much more. Each topic is explored through the lens of the distinctly classical Christian philosophy that has come to be a trademark of the Robin &amp;amp;amp;amp; Boom show. To learn more about the show, including ways that you can post questions to hear addressed in future episodes, visit the show’s host website. Jason and Robin interview Dr. David Wang about Notre-Dame Cathedral and its recent fire. Dr. Wang is a widely published expert on architecture who recently retired as head of the architectural department at Washington State University. In this discussion, Dr. … Continue reading →The post The Robin & Boom Show #06 – Interview with Dr. David Wang on Notre-Dame Cathedral appeared first on Robin Mark Phillps. What is classical education? How can the liberal arts fortify children against anxiety, depression and addiction? What was Charlotte Mason’s contribution to classical education? These are some of the questions that Robin and Jason explore with this week’s guest, Michael … Continue reading →The post The Robin & Boom Show #05 – Interview with Michael d’Esterre on Classical Education and Emotional Wellness appeared first on Robin Mark Phillps. Jason and Robin are joined by Keith Pimental to discuss tribalism. They explain what tribalism is and why it’s a problem in America today. During this conversation you will learn what parents and educators can do to develop critical thinking … Continue reading →The post The Robin & Boom Show #04 – Discussion With Keith Pimental on Tribalism appeared first on Robin Mark Phillps. What happens when parents and politicians settle for intermediate goals without giving attention to the long-term end of human flourishing? What is the culture-wide impact of relativism? What happens when we neglect the importance of history and eternity? And what … Continue reading →The post The Robin & Boom Show #03 – Discussion with Keith Pimental on Transmitting Values to Next Generation appeared first on Robin Mark Phillps. Jason Van Boom and Robin Phillips discuss the political climate in America and Europe, including areas of difference and cross-fertilization. During this conversation they explore the importance of symbols, metanarratives, tribalism, and operational philosophical assumptions that animate contemporary public discourse. … Continue reading →The post The Robin & Boom Show #02 – Politics in America and Europe appeared first on Robin Mark Phillps. In this premier episode of their new podcast, Robin Phillips and Jason Van Boom discuss a recent study showing no correlation between a child’s well-being and time spent on technology. But is this study really as conclusive as the media … Continue reading →The post The Robin & Boom Show #01 – Children and Screen Time appeared first on Robin Mark Phillps. Robin Phillips and Jason Van Boom have some fun while discussing their plans to launch a podcast. They also discuss the continued relevance of philosophical debates that occurred during the Middle Age. View all Episodes of The Robin & Boom … Continue reading →The post The Robin & Boom Show #00 – Test Episode appeared first on Robin Mark Phillps.